Update (9/30): This can now be pre-ordered on Amazon Japan. Ships to the United States. Original (9/29): A few months ago, the Nintendo Entertainment System: NES Classic Edition (otherwise known as the Nintendo Classic Mini) was announced for North America and Europe. Now something similar has been revealed for Japan. 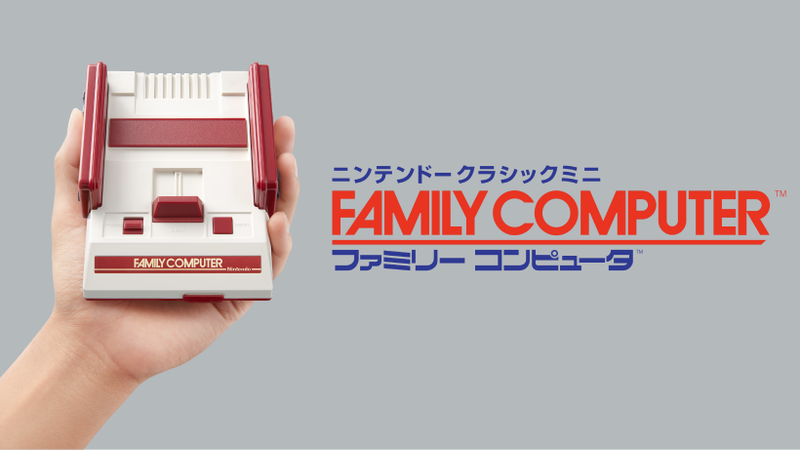 Today, Nintendo shared news that Nintendo Classic Mini: Famicom (or Family Computer) is coming to its home region. It’ll be available on November 10 for 5,980 yen. An AC adapter will go on sale on the same day for 1,000 yen. Japan’s lineup of games is slightly different than what’s included in the NES Mini. We have it below.